TAS Ep 32 - Al Becomes a Swinging Yogi | The Aussie Swingers. We Swing Around the World! Episode 8 – Do guys need to finish? The Aussie Swingers Ep 47. The Aussie Swingers Ep 46. The Aussie Swingers Ep 45. The Aussie Swingers Ep 41. 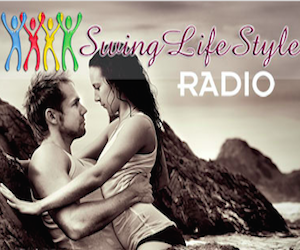 The Aussie Swingers Ep 40. The Aussie Swingers Ep 39. The Aussie Swingers Ep 38. The Aussie Swingers Ep 37. The Aussie Swingers Ep 36. The Aussie Swingers Ep 35. The Aussie Swingers Ep 34. The Aussie Swingers Ep 33. The Aussie Swingers Ep 31. The Aussie Swingers Ep 30. The Aussie Swingers Ep 29. The Aussie Swingers Ep 28. The Aussie Swingers Ep 27. The Aussie Swingers Ep 26. The Aussie Swingers Ep 25. The Aussie Swingers Ep 24. The Aussie Swingers Ep 23. The Aussie Swingers Ep 22. The Aussie Swingers Ep 21. The Aussie Swingers Ep 20. The Aussie Swingers Ep 19. The Aussie Swingers Ep 18. The Aussie Swingers Ep 17. The Aussie Swingers Ep 16. The Aussie Swingers Ep 15. The Aussie Swingers Ep 14. The Aussie Swingers Ep 13. The Aussie Swingers Ep 12. The Aussie Swingers Ep 11. The Aussie Swingers Ep 10. The Aussie Swingers Ep 8. Ellie and Al release the long overdue final chapter of their Desire trip. It ends with meeting a couple from whom they learn how to be more centred and present on an LS vacay. Ellie is still a work in progress in that department (squirrel!). They chat about how to approach the LS question with people they meet at Desire in a more subtle way. Al is introduced to naked acro yoga which Ellie walks in on and they read an article the aforementioned couple wrote on what they have learned after their 5th Desire trip.